Based on a 750mL Ergonomic Drink Bottle. Exclusively designed and manufactured in Australia. PMS Colour match body for orders over 2,500 units. 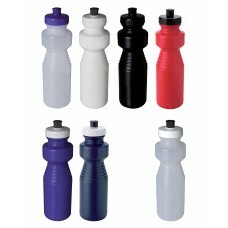 Colours Available: Clear, White, Black, Red, Reflex Blue or Navy.